As you make your way through Pokemon Let’s Go Pikachu & Eevee, you will spend your time going to various gyms throughout Kanto. Each gym has it’s own sort of mini game that you need to complete in order to reach the gym leader. 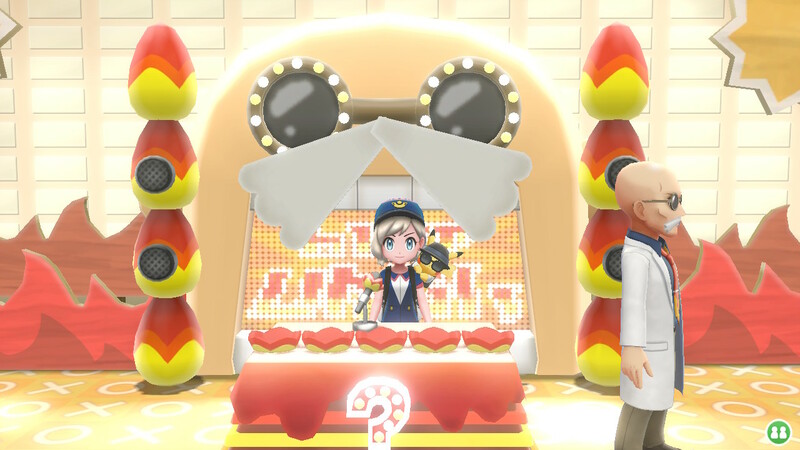 One of the gyms located on Cinnabar Island involves answering various questions in a game show style format before you can fight the gym leader. To help your answer these questions, here are the Gym Leader Blaine answers. Gym Leader Blaine holds a game show in his gym. You need to answer a total of five questions to fight him. Get a question wrong and you will face a trainer. Gym Leader Blaine will ask you a total of five questions during the game show. If you answer any of the questions wrong, you will need to fight trainer. This means you could battle four trainers before even reaching Blaine. If you don’t want to fight these trainers, check out the answers to each question below. There are Eight Gym Badges. A Steel-Type move on a Fire-Type pokemon is not very effective. Any answer (since all of them are correct in their own way). Once you answer all of the questions given by Blaine, he will challenge you to a battle. Blaine focuses heavily on fire type Pokemon in his party so be sure to have at least a couple water-type Pokemon on your team to make this battle a walk in the park. For beating Blaine you get the Volcano Badge. Did our guide featuring the Gym Leader Blaine answers help you? Let us know in The Pit below.